Amaranth like quinoa is a versatile gluten free alternative to wheat. 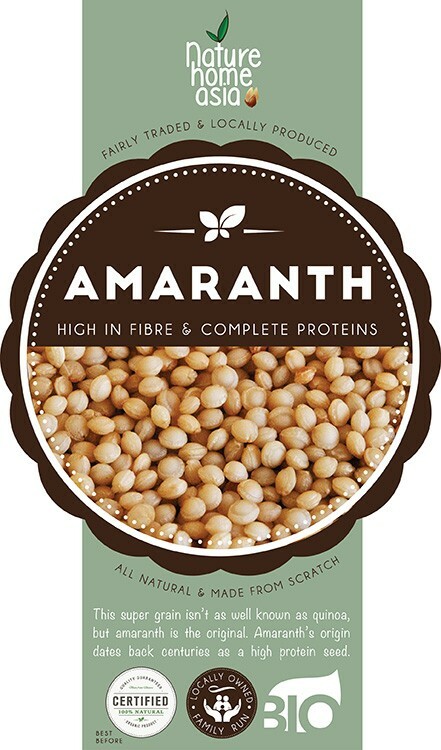 Imported from the USA our Amaranth is organic, high in vitamin C, iron and calcium and the perfect addition to a healthy lifestyle. 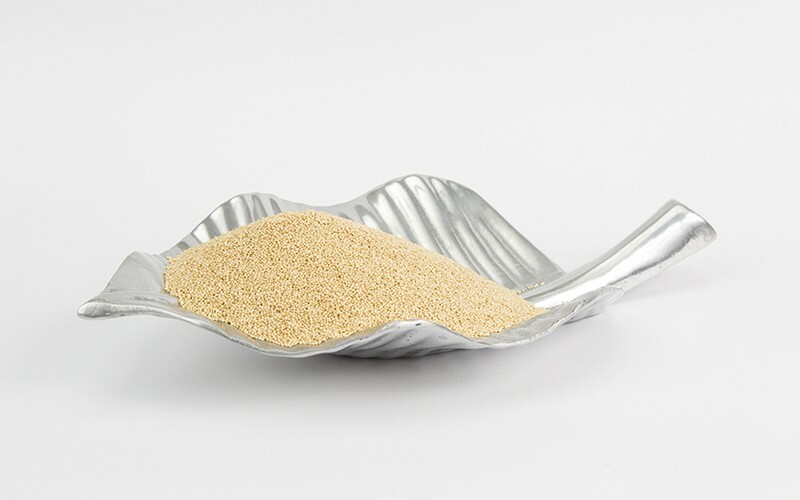 Amaranth has been used for centuries by the Aztecs as a satisfying and versatile ingredient in cooking. Like quinoa it is actually a seed rather than a grain, naturally gluten free, it is very useful for anyone who is following a gluten free diet. Unlike grains like wheat or white rice it is also very high in protein, with a complete amino acid profile making it a complete nutrient dense food that can be used in or to accompany many dishes. Amaranth contains many other nutrients as well as its high level of protein as it’s rich in vitamin C, magnesium, potassium, and a very high level of iron which makes it perfect for anyone who is vegan or has a tendency for being anemic. Some of the most unique health benefits of Amaranth include its ability to stimulate growth and repair, reduce inflammation, boost bone strength, lower blood pressure, improve the immune system, reduce the appearance of varicose veins, and maintain healthy hair. Amaranth is delicious as a breakfast option. You can replace oats with Amaranth for a gluten free porridge, simply mix with almond milk and cinnamon and serve with fruit like banana and fresh berries for a delicious hearty breakfast. With a similar texture to couscous it can easily replace traditional grains as a side dish or cooked and mixed with salad for a delicious “tabouleh-like” salad with mint, cucumber and a lemon yoghurt dressing. To prepare use 2 cups of water to one cup of amaranth, bring to the boil and then simmer on a low heat with a lid on till the water is absorbed and the grains are light and fluffy. To make Amaranth porridge increase the amount of liquid to get a softer consistency by using 3 cups of liquid to one of Amaranth, and replace the last cup with a nut milk or milk of your choice. Enjoy!